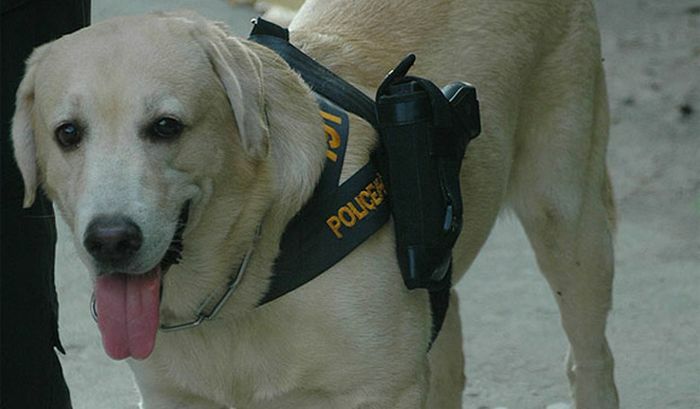 Why does a police dog need a gun? Any ideas? Probably in the case that the officer needs a back-up gun? 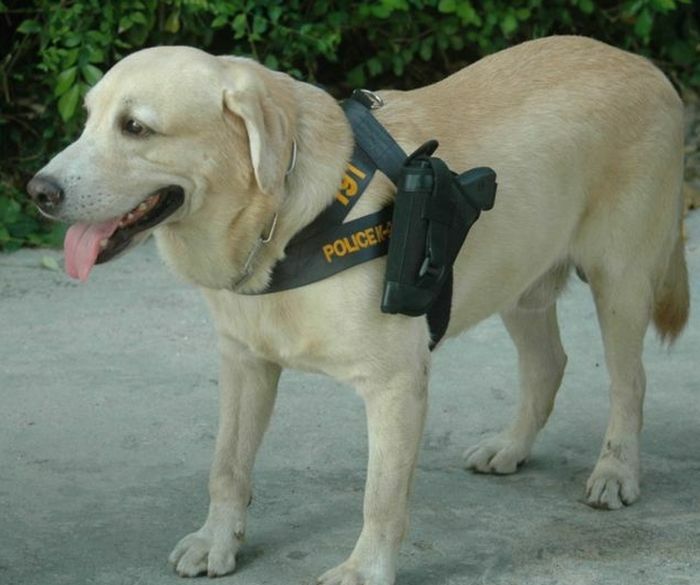 Because he's a damn good police dog. I like this set up! 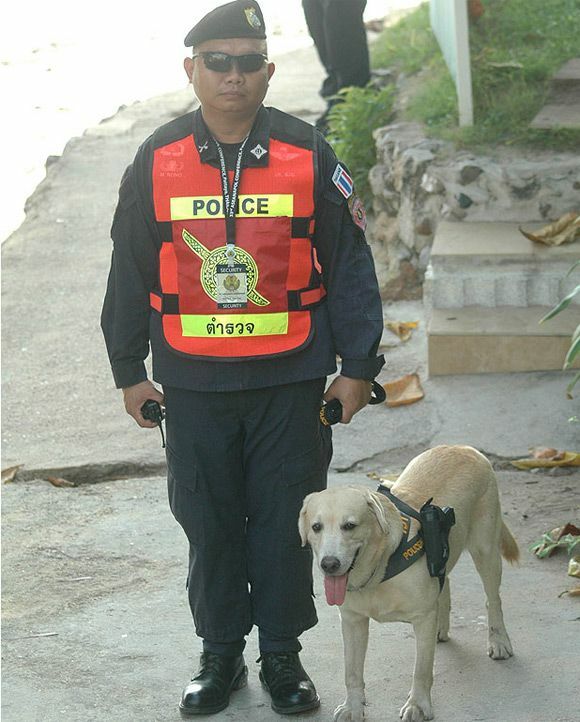 Maybe because in Thailand every policemen has to carry a gun by law? Dog won't let the bad guy grab it, that's for sure.